It is an era of sudden change and upheaval in Rokugan. Mortal schemes, natural calamities, and celestial turmoil alike have disrupted the political, military, and spiritual equilibrium of the land. Long-simmering rivalries and fresh betrayals ripple through the courts and on the battlefield. The Chrysanthemum Throne is beset by threats from without and within, and the honor of the seven Great Clans shall be put to the test. Who among the clans will prove strong enough to guide Rokugan in these tumultuous times? Will their names be lifted up beside those of the honored ancestors, or will they fall among the ranks of the empire’s most infamous villains? This is the stage of the Legend of the Five Rings Roleplaying Core Rulebook, a new roleplaying experience in the world of Rokugan. 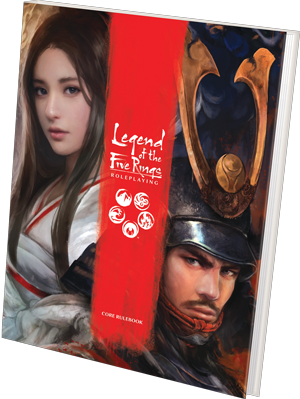 Read on for a description of the mechanics found within, and be sure to check out the player resources for Legend of the Five Rings Roleplaying in the support section below, including blank campaign sheets, character sheets, the Game of Twenty Questions, and DLC content! For years, the Legend of the Five Rings Roleplaying Game has provided a roleplaying system that places players in the roles of honorable samurai of Rokugan. Now, take a journey into the next evolution of the iconic RPG with the Legend of the Five Rings Roleplaying Game Core Rulebook. What is Legend of the Five Rings Roleplaying about? In Legend of the Five Rings Roleplaying, players take on the roles of samurai from the seven Great Clans serving their lords across Rokugan, a rich and complex setting based on a fantastical and romanticized version of feudal Japan (while also taking inspiration from other East Asian myths, literature, and history). Characters are warriors, courtiers, priests, and monks defending their lord’s interests while upholding the Code of Bushidō, a code that demands samurai ignore their own desires in favor of justice, loyalty, and honor. What lines will your character cross at their lord’s order? What desires will your character sacrifice to uphold their ideals? Adventures in Legend of the Five Rings Roleplaying take their cues from eastern storytelling, which valorizes individuals sacrificing themselves to maintain societal harmony, as opposed to western narratives that reward heroes for defying society. However, ideals and human emotions cannot easily be put aside even by the greatest of samurai, and this inner conflict drives the drama of Legend of the Five Rings. The Legend of the Five Rings Core Rulebook is your guide to adventure. 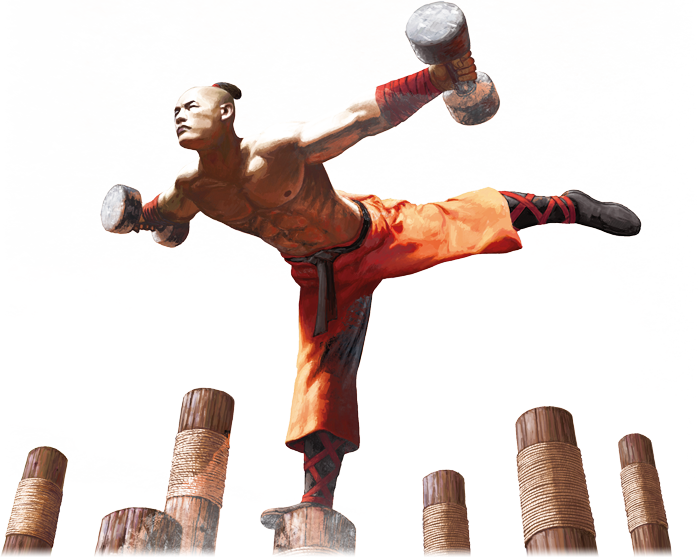 With all the rules you need to craft player characters through the Game of 20 Questions, a wide assortment of new skills, techniques, and equipment, and in-depth explanations of the rules and systems of the games, players have all they need to enter the world of Rokugan. Game Masters also gain the knowledge of how to construct adventures and individual scenes, as well as a wealth of non-player characters to populate the Emerald Empire. With all this information contained in 336 stunning, full-color pages, the Core Rulebook is perfect for experienced samurai looking to explore the world of Rokugan in their own way. The Legend of the Five Rings Roleplaying Beginner Game lets you jump right into the action. 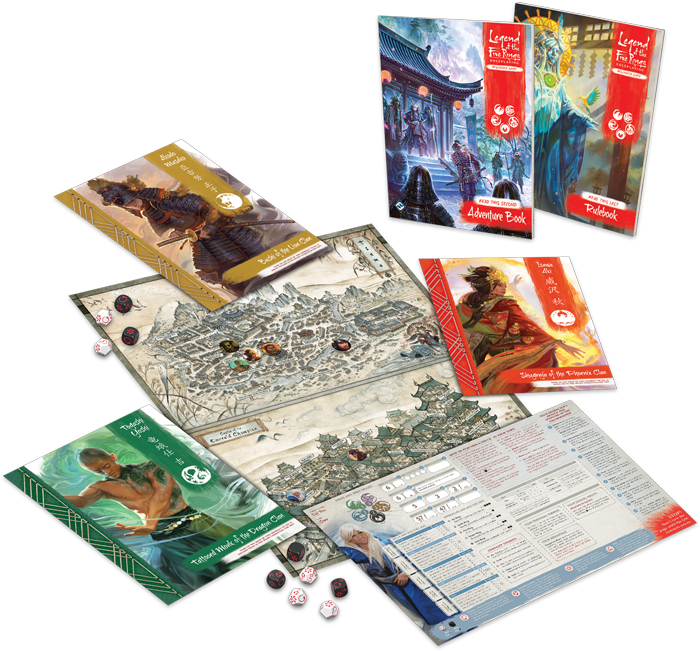 With pared-down rules that still give you everything you need to play, a pre-made adventure that serves as an introduction to Rokugan, and pre-made characters presented on folios that keep the rules at players' fingertips, the Legend of the Five Rings Roleplaying Beginner Game is perfect for players just dipping their toes in roleplaying and Rokugan. Even for veteran players, the Beginner Game offers a perfect way to easily learn or teach the rules, engage with a pre-made adventure, and claim a full map and other resources that can be used for countless adventures! The Legend of the Five Rings Roleplaying Core Rulebook features a fusion of the Roll and Keep system from previous editions of the Legend of the Five Rings Roleplaying Game and the Narrative Dice System featured in the Genesys Roleplaying System. Custom dice included in the Legend of the Five Rings Roleplaying Dice Pack feature a number of unique symbols that will guide you on your adventures. Success- This symbol helps you complete the task at hand. Explosive Success- Not only does this symbol count as a success, it allows you to roll additional dice, giving you the opportunity to succeed at extraordinary tasks. Opportunity- While not a success, opportunities can present new narrative options to aid your character in some way. Strife- This symbol adds strife to your character, once your strife surpasses your composure, your character has some kind of outburst ill-fitting for a samurai. Players describe how they would like to approach the problem and the Game Master determines which elemental approach they are using. At this point the Game Master also determines how many successes the player needs to accomplish their task. Players then assemble a pool of dice, using a number of white skill dice equal to their appropriate skill number and a number of black ring dice equal to the character’s ring value of the element they are using to approach. The player then rolls all of these dice, views the results, and chooses to keep a number of dice equal to their ring value. If these kept dice show a number of successes equal to or greater than the target number, the task succeeds, but complicating events may occur, depending on the symbols of the dice. Yoshi ends up with a couple of options, he could succeed and accumulate two strife, or perhaps fail and gain some sort of opportunity. Yoshi wants to succeed, no matter the cost, and chooses to keep the two dice that will assure success. Yoshi uses a jagged rock as a stepping stone and effortlessly crosses the ditch. Yoshi briefly thinks the bandit is a fool for not using a similar tactic, feeding into his internal strife. How are opportunities different from raises in past editions? Opportunity is reminiscent of the raise mechanic from previous editions, in which players could raise the difficulty of a task to perform cool side effects. This time, however, opportunities are one of the choices players can make while keeping dice, as opposed to calling raises before the roll. Opportunity resolves independently of success and failure, so players can help guide the direction of the scene even if their character doesn’t accomplish their intentions! 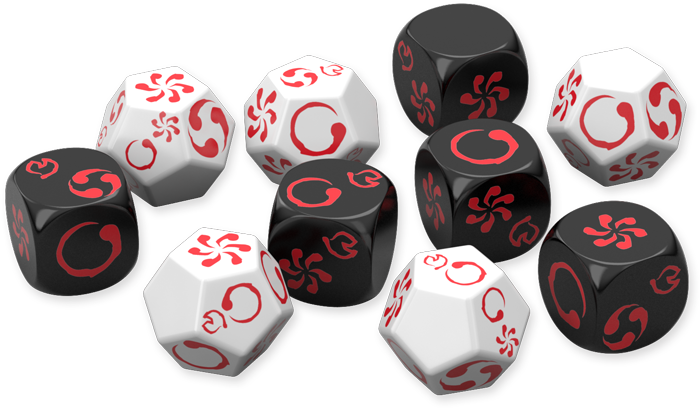 The dice found in the Legend of the Five Rings Roleplaying Game Dice Pack are unique in nature, using custom symbols. While the Dice Pack contains all the dice you need to play the game (and these dice are also included in the Beginner Game), Fantasy Flight Games has also created a dice app which can be downloaded from the App Store or Google Play! The app features a standard set of dice as well as the custom dice featured in the game, inviting you to perform checks with just the click of a few buttons! 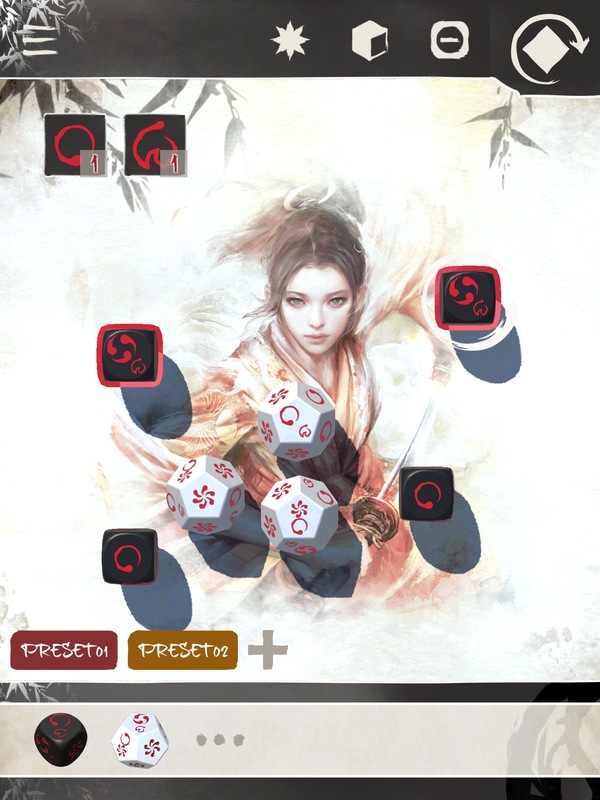 The Legend of the Five Rings Roleplaying Game Dice App gives you all the dice you need to play a game of Legend of the Five Rings. Dive into the Emerald Empire with the newest edition of Legend of the Five Rings Roleplaying! With the Core Rulebook, Beginner Game, Dice Pack, and Game Master's Kit, everything you need is at your fingertips!